Kefalonia is one of the most beautiful Greek Island full of amazing beaches, picturesque villages and green mountain views. Kefalonia is the largest of the Ionian Island and it is ideal for family or romantic romantic vacation. The Island is located between Lefkada and Zakynthos and the access is easy even from other countries. It is a unique destination and a perfect venue for any event. Whether you prefer a Greek orthodox wedding or a beach special event, Kefalonia provides and combines the cosmopolitan venue with the green Greek nature. • Melissani Cave, where you enter the cave through an underground path for a boat tour inside the cave. According to the myth this cave was a place of Nymphs. • Drogarati Cave, a large cave with stalagmites 150 feet below the ground. • De Bosset Bridge, a stone bridge constructed from British rulers in 1813. The bridge connects Argostoli town with the opposite site of Island. • Katavothres, a unique natural phenomenon where the sea water follows underground paths that leads to Melissani Cave and the villages Sami and Agia Efimia. • Lighthouse of Saint Theodoroi, again a unique construction made by the British rulers of the island by the 1828. • Castle of Saint George, located on a hill in Peratata village 5 km from Argostolion the capital of Kefalonia Island. 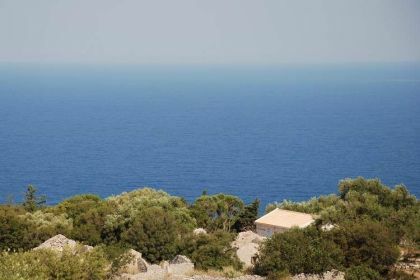 • Castle of Assos, one of the first line and strongest castles in the Island in 16th century, constructed by Venetians to protect village from pirates. • A number of picturesque and historical monasteries: Monastery of Kipoureon, Agios Gerasimos Monastery, Monastery of Agios Andreas, Monastery of Argilion, Monastery of Lagouvard, Monastery of Panagia Atros, Monastery of Sissia, Monastery of Themata. • The attraction of Kefalonia Island that is its amazing beaches: The worldwide known Myrtos beach, Antisamos beach, Makris Gialos, Skala beach, Lourdas, Platis Gialos, Petani, Fiscardo, Xi beach close to Lixouri village, Agios Nikolaos, Agios Thomas, Ai Helis, Alaties, Ammes, Avithos, Eglina, Kaminia, Kato Lagadi, Koroni, Kounopetra, Lagadakia, Lepeda, Limenia, Megali Ammos, Megas Lakos, Minies, Platia Ammos, Poros beach, Spartia, Trapezaki, Vrachinari and many more. 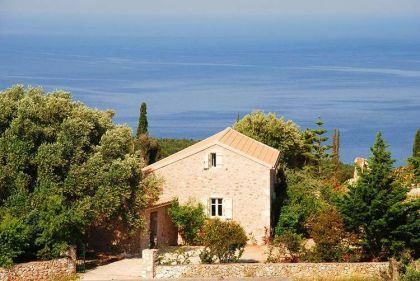 Villas for rent in Kefalonia. Our portfolio of villas, houses and apartments features high quality properties, ideal for vacations, a wedding party or a wedding reception, ideal venues for elegant unforgettable event. Anything you have ever imagined can come true in our extraordinary properties. 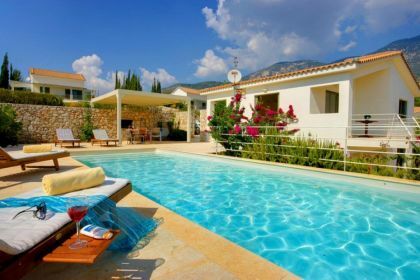 Apart from villas RentVillasGr.com have many accommodation options for your Kefalonia holidays. Apartment, houses, maizonettes and most accommodations are traditional places with self-catering, luxurious resorts with pools, jacuzzi, gym and spa treatments. The website presents just some of the holiday options. If you can't find the best one that fits all your requirements, please contact our managers and we will contact you to assist finding your dream villa for rent or to invest.